Offering up the challenge; ‘Ask me anything!’ to a potential audience of 230 million Reddit users is a small step into the unknown. This is what our intrepid CTO and co-founder Dom Guinnard threw himself into last Friday, when he hosted a Reddit AMA session on the Internet of Things, to coincide with the launch of his new book, Building the Web of Things, written with fellow EVRYTHNG co-founder Vlad Triffa. 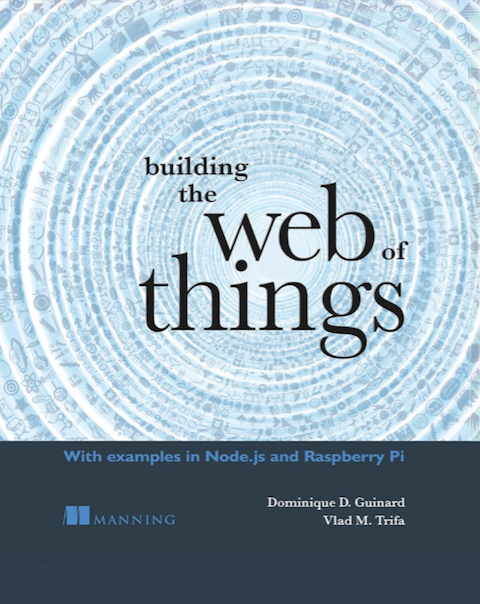 Building the Web of Things book by Dominique Guinard and Vlad Trifa. It was a chance to hear from a wider group of people about the IoT – a kind of informal barometer of geek public sentiment. So what did we learn about attitudes towards the IoT? All in equal measure. And although it wasn’t what you could call a scientific survey, we definitely got a clear sense of what matters most to people. Unsurprisingly, the recurring theme that came through was the perception that the IoT and smart home technology in particular, makes us less safe. Couldn’t we stop all devices from directly connecting to the Internet, Dom was asked. Say, have a smart home manager or a central server on a ‘home LAN’, which controls all access to all smart products? This, said Dom, is where today’s IoT gateways or home hubs come in. (EVRYTHNG, for example, has THNGHUB a local cloud gateway which provides a single access point to the home environment). His prediction was that the next wave of IoT developments will see companies taking their learnings from securing big web systems into the embedded system world. And as far as the devices themselves go, although security cannot ever be absolute, using existing protocols and in particular their open implementations like OpenSSL, means vulnerabilities can often be spotted and patched very quickly. Just as important was the subject of privacy, which comes hand in hand with security. How could the metadata about our everyday lives be used against us if we are hacked? And what about the data that consumers voluntarily give to brands? Does the average user know exactly what it is, and how it will be used? Shouldn’t there be a standardized model or vocabulary, a little like when you download an app and are informed what data will be accessed. Dom’s view was that whilst such fears are completely understandable and in some cases justified, pragmatically it’s about the ‘give-gets’. Its vital that brands give consumers full transparency of data ownership, and make sure the benefits are clear on what users get in return for giving this data. The discussion acknowledged that this is a wider subject which revolves around national and international laws (think about the differences between the EU and the US regulations) and so governments play a leading role in turning the grey areas black and white. The lack of standardization around protocols and languages was brought up numerous times. How does Dom view this, especially given his book focuses on this very topic? Standardization will happen, just not as fast as we would like. The IoT is slowly converging to the internet, in terms of network, with Zigbee, Zwave, Thread, Bluetooth all now being bridged to Internet protocols. At the application layer, the Web and its associated open standards, dominates. This is the ‘how’ of the IoT. For the ‘what’, there are a lot of developments around the semantic web, which aim to promote common data formats for smart devices. Key to progress is ‘openness’. EVRYTHNG Co-Founder Dominique Guinard mid flow during his Reddit “Ask Me Anything” session. What else got people going? And many more question besides – how will the world store the vast amount of data generated by the IoT, what part Bitcoin will play, and of course, how do you get a job working in the IoT industry (EVRYTHNG are hiring…)? 60 minutes of insightful, thought-provoking, troll-free Q&A. Some fast typing, some fast thinking, and, then it was over. 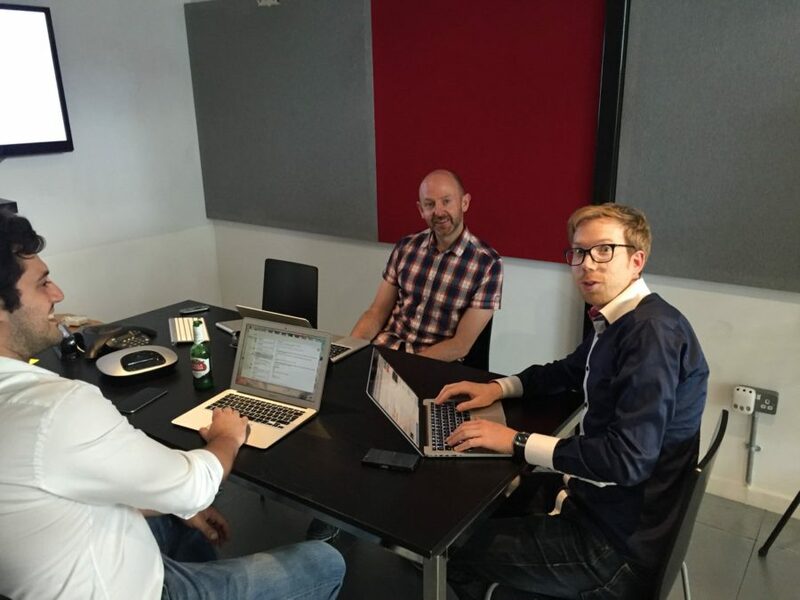 IoT AMA AOK. Click here to check out the full AMA session.